Description: A transit-accessible route. 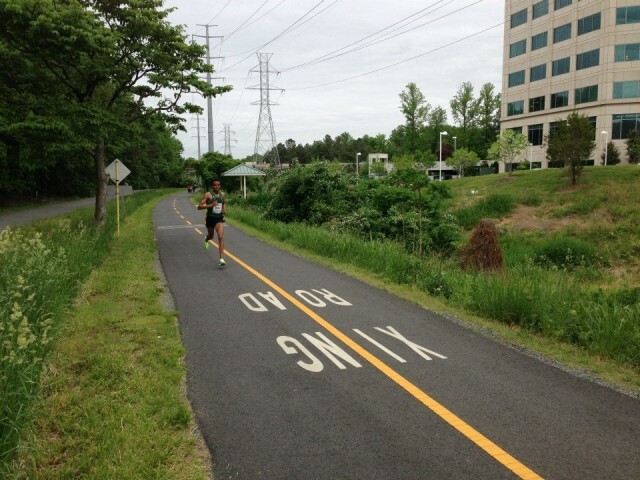 Starting at the Wiehle Road Metro station, take the W&OD Trail to the Four Mile Run Trail and turn on to the Mount Vernon Trail. Cons: You’re spending a while running in a single direction. Pros: It’s a long gradual downhill after mile six. You’ll pass through several commercial areas if you need to stop, including a 7-Eleven in Falls Church right off of the trail. Tricky Points: A few road crossings every few miles. My advice: Start in Reston to get that downhill. Plus, since you’d be waiting at the end of the Silver Line, you’ll wait a lot longer for a ride back to the start.